The birthplace of Revolution, Paris is the perfect destination to learn about the modern nation state. The city has a wealth of historical monuments and landmarks that will give students an insight into a pivotal period in European history, giving rise to the motto "Liberty, Equality and Fraternity" which is still so entwined in the ethos of modern day France. With so much to see, from the awesome Chateau de Versailles and the Carnavalet Museum, to the La Conciergerie military fortress that later became a prison, Paris is alive with historical treasures. 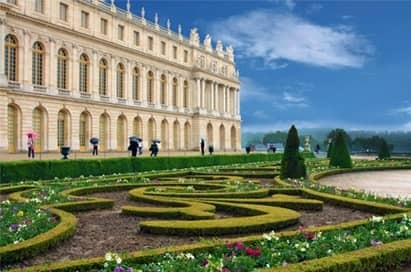 The palace, begun in the late 1600s, was the dream of Louis XIV and home of the French monarchy until the demise of the aristocracy. The mammoth estate could accommodate 20,000 people and its grounds cover over 800 hectares. Famous sights include the Hall of Mirrors and the Apollo Salon. 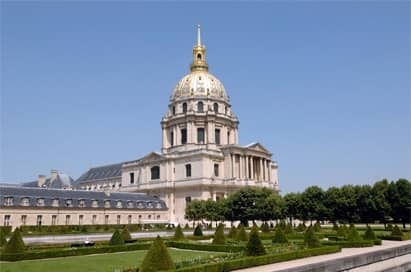 Napoleon is buried here under the golden dome of Les Invalides and the museum contains a variety of memorabilia relating to military history. There is a World War One room that is particularly moving and a recently added World War Two room. Different types of guided tours are available. An intimidating military fortress that later became a prison, Marie-Antoinette was held here during the Revolution while awaiting her guillotine execution. As momentum for the Revolution was building in Paris land was becoming increasingly scarce and the cemeteries were becoming overcrowded. The government of the time made the decision to move the remains of the dead to the empty lime-stone quarries. The work was completed in 1860, by which time an estimated five to six million skeletons had been relocated. The resistance museum covers five floors of a 19th century villa. The history starts at the top with the pre war political background, and continues through the defeat in 1940, German occupation and the rise of the maquis to victory. Most exhibits are in French. UNESCO (United Nations Educational, Scientific and Cultural Organisation) offers presentations on a variety of subjects such as AIDS research, third world education and homelessness. Groups can also watch a video on UNESCO’S work worldwide and tour the building. At the end of the visit students are given the chance to discuss issues raised with a UNESCO representative. Visit the Organisation for Economic Co-operation and Development (OECD) for a seminar on the topic of your choice. Seminars begin with an introduction to the OECD (often by a Member Country Representative) followed by a presentation by an OECD Expert on a topic of interest such as: economics, education, science, environment, governance, employment and technology. Seminars last approximately two hours including a question and answer period.